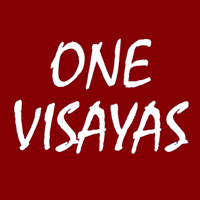 ONEVisayas Incorporated is a non–stock, non–profit organization that brings together ideas, links, information, alliances and resources to grow conversions and raise the quality of life in the Visayas. To help poor farmers develop and harness sustainable agriculture, educational, and livelihood skills so that they can become more economically resilient and be able to develop their own family’s social potentials especially in localities where poor farmers and the underprivileged are located. At ONEVisayas we incite people to cultivate behavior that spurs economic activity and help distribute prosperity for ordinary citizens to be able to live with dignity. ONEVisayas institute various programs to get its message across and gain support for leadership, economic and social development initiatives that benefit local communities. ONEVisayas seeks to address economic barriers to human development in the region. We believe that poverty and the concentration of wealth in a small percentage of the population is a function of business, politics, and culture.